Is this the prequel to District 9? 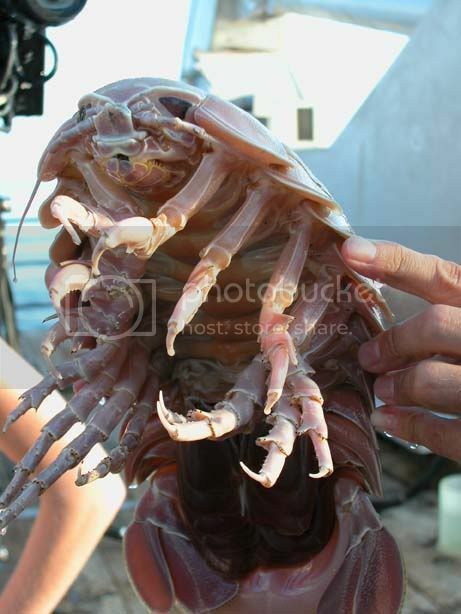 The Giant Isopod is a scavenger of the deep, deep seas that happens to be distant relative of the woodlouse, or pill bug. It can curl up into a ball of sorts. Want to see? Didn’t think so. 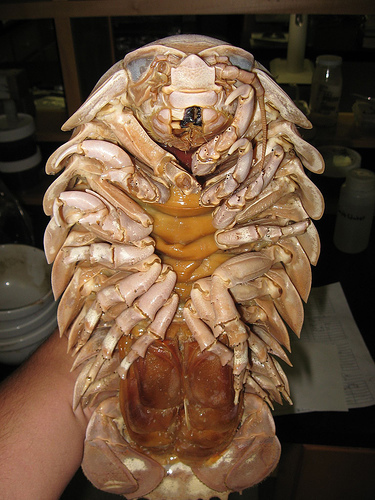 A very special thank you to dear reader Jessica, who surfaced this beast of the benthic zone. white eyes and 17 legs.